On September 16th, an anonymous group calling themselves “zones 1, 2 & 3 patrons” (sic) pulled together a few bucks and ran a large, color ad in the Herald and News in defense of Chairman Cheyne and Ken Smith. Though enormous and hard to read, the ad lays out this faceless group’s assessment of how the events unfolded leading up the C Flume fiasco and made accusations against previous Klamath Irrigation District Board of Directors in an obvious attempt to distract from Chairman Cheyne and Mr. Smith’s ethics violations, attempts to sideline the C-Flume contract and the hiring of New York City-based attorney Lawrence Kogan to negotiate the terms of the contract for $128,500 (remember, not a word of the contract was changed). While the ad tries to paint the problems with Chairman Cheyne and Ken Smith as not the fault of those two men, petitioners Ed Bair, Ross Fleming and Jason Chapman put together a timeline of events that fills in the gaps this anonymous group chose to leave out. 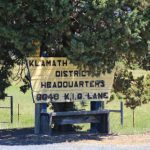 Earlier this month, an anonymous group of people published an ad in the Herald and News containing a timeline of events that occurred in the Klamath Irrigation District (KID) since 2011. Unfortunately, the timeline omitted 99 percent of the important information. The ad suggests that a previous KID board was focused on making a loan on the C Drop structure when it should have been focused instead on replacing the downstream C Canal flume. In fact, until this radical group took over the operation of the district, KID was focused on both of those projects, as well as many other necessary repairs and replacements to aging facilities that were built a century ago. These proactive efforts began in 1983, when a portion of the concrete lining in the A Canal upstream of the tunnel inlet near Conger School collapsed. Temporary repairs were made to allow use of the A Canal that year. This marked the beginning of a new era at KID, one where the district began to put aside reserves, and create and implement a plan for replacing a vast array of aging infrastructure. Working with the Bureau of Reclamation (Reclamation) a system-wide investigation identified the need to modernize nearly all of the major structures in the District. A short list of these priorities included the A Canal headworks and tunnel floor, the B Canal headworks, and the C Canal Drop and flume. In 1985, Dave Solem joined KID as its manager. Mark Stuntebeck was appointed assistant manager in 1989. The management philosophy of KID evolved as the district for the first time began building reserves to properly repair or replace the District’s assets including equipment, motor vehicles and major facilities. Water flows downhill. It made no sense to replace the C canal flume until the upstream A & B facilities had first been rehabilitated. The board logically focused on fixing upstream structures first, starting with the A Canal. Notably, working with Klamath Water Users Association, Reclamation, our congressional representatives and others, Congress authorized and appropriated the entire $14 million cost of the A Canal headgate project — at no cost to KID. This was followed by the B Canal headgate rehabilitation, and efforts to tackle uncontrolled flow of urban drainage water into the A Canal. Working downstream, the next major targeted fix was the C Canal Drop, an aging structure that posed significant flooding and water delivery risks should it fail. Board member Ross Fleming pressed the District to begin investigating the possibility of incorporating a new power plant into this repair project, and engineering and design work began in 2008. After issuing a request for proposals and securing a qualified contractor, KID then negotiated the construction of the facility with a private company. During the negotiations, KID’s Board agreed to loan $600,000 to the company to help with financing the new structure. By March 2011, all of the necessary permits, contracts, and licenses were in place, and KID signed the construction, operation, and loan agreements with the company. That project is now complete. For an investment of approximately $100,000 in preliminary design, permit applications and the approval process, KID received a $2 million, modern headgate and spill structure, including a new power plant that generates a revenue stream that will grow to hundreds of thousands of dollars per year to KID. At the same time progress was being made on the C Canal Drop, KID was addressing the C Canal flume. Following engineering work and with cost estimates in hand, the KID Board agreed that the best alternative to replace the flume was a buried pipeline. 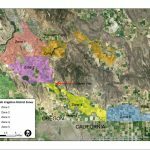 Reclamation agreed to loan KID funds if the district was unable to fund the entire project within its budget. In December 2015, KID’s outgoing Board approved the annual budget, which included a reserve fund and new funding for the C Canal flume replacement. KID entered 2016 well-prepared to move forward with starting the flume replacement project by year’s end. It is clear that for decades, previous KID boards worked diligently to address the nearly overwhelming need to replace an old and tired irrigation system. The District was once especially good at locating and leveraging state and federal sources of funds and resources, while our crews worked tirelessly to maintain and improve our facilities, saving patrons millions of dollars. We are proud of the work that was accomplished. However, there is much more to do. It is imperative that we do not tarnish KID’s proud history of reliably delivering irrigation water to our farmer members. That history is now in jeopardy. Ed Bair, Ross Fleming and Jason Chapman are former Klamath Irrigation District board members.